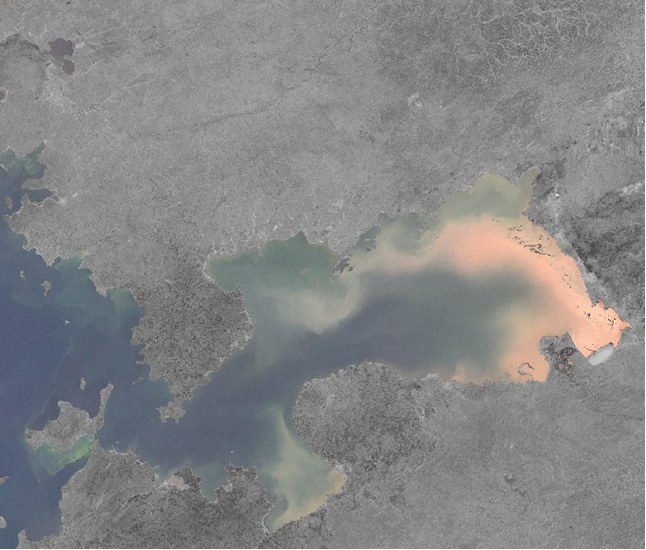 During the past decades, dramatic changes were observed in the ecosystem of Lake Victoria (cited from Witte et al., 2005). The introduced Nile perch (Lates niloticus) boomed in the 1980s and many other fish species disappeared. The more than 500 haplochromine cichlid species, that originally made up more than 80% of the demersal fish mass, were most severely affected. 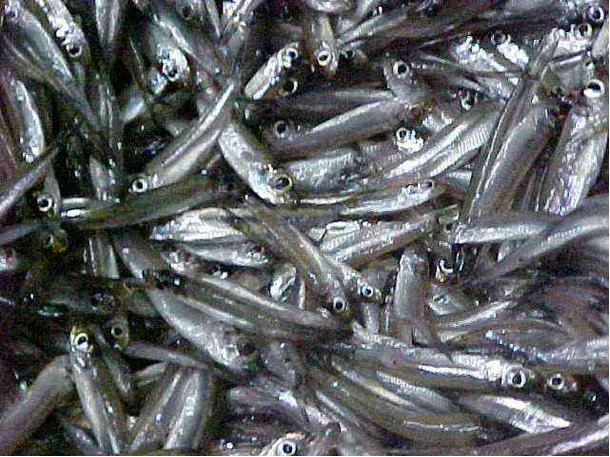 Within 10 years, they had almost vanished from the catches in the sublittoral and offshore waters, and lakewide, some 200 species might have disappeared. In the same period, the native zooplanktivorous cyprinid dagaa (Rastrineobola argentea) and the introduced Nile tilapia (Oreochromis niloticus) strongly increased in numbers. Concomitantly with the changes in fish species composition, other changes in the ecosystem were also observed. Most prominent was the increase in eutrophication that had started already in the 1930s when the human population strongly increased. As a result of soil runoff, eutrophication and phytoplankton blooms, dissolved oxygen concentrations and water transparency in the Lake declined in the 1980s. In the 1990s, after a decline of the Nile perch due to over-fishing, some 20 haplochromine species were recovered in the Mwanza Gulf. With respect to their trophic preference, 80% of these recovered haplochromines were zooplanktivores (three species) and about 15 % were detritivores (four species; Witte, et al., 2007). 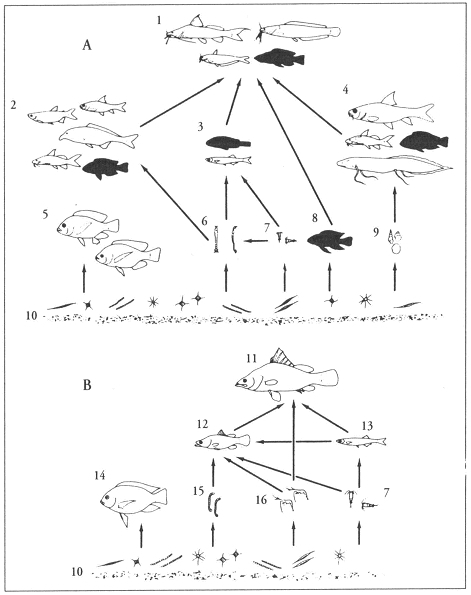 Apart from predation by Nile perch – which was still high when compared to predation in general before the ecological alterations – the recovering species had to cope with environmental changes, such as increased hypoxia and decreased water clarity. Laboratory experiments revealed that most haplochromine species, including those from the littoral zone, are tolerant to low dissolved oxygen concentrations (0,8 mg l-1; Rutjes, 2006). They seem to be more tolerant than the Nile perch and dagaa that are flourishing in the current ecosystem (Chapman et al., 1995; 2002). Several haplochromine species – both in captivity and in the field – revealed adaptive responses in gill morphology to long-term hypoxia (Chapman et al., 2000; Witte et al., 2008). Negative impacts of hypoxia are, however, still possible, as the scope for activity may have decreased in hypoxic areas and because severe hypoxia might hamper embryonic development (Kranenbarg, et al., 2000). Decreased water clarity seems to pose a greater problem on haplochromine cichlids, as they heavily depend on visual clues for foraging and social interactions (Fryer & Iles, 1972). Species diversity appears to be lower in areas with low visibility than in clear areas (Seehausen et al., 1997). 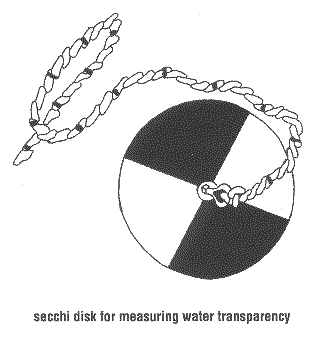 A decrease in water clarity seems to hamper mate recognition and may lead to hybridisation, or even may completely frustrate breeding (Seehausen et al., 1998). 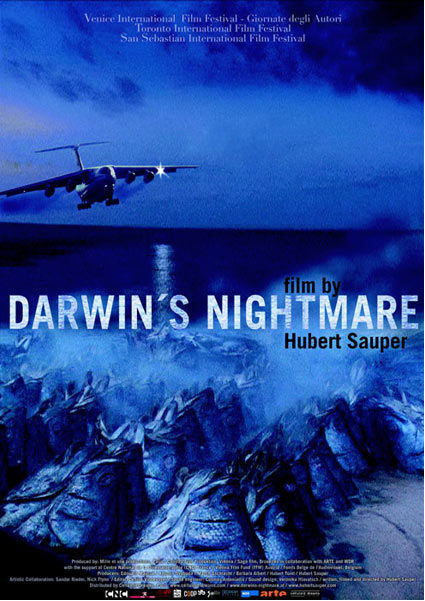 Further, low visibility may decrease prey selectivity and result in increased interspecific competition, which will have negative impact on species coexistence (Seehausen et al., 2003). Comparing the eye-size of old (1970s) and current (1990s) populations of recovered species, revealed a general reduction of the eyes, on some occasions even within an already relatively smaller head (H. pyrrhocephalus; Witte, et al., 2008). On one hand rather unexpected as enlargement of the eye increases sensitivity (Van der Meer, et al., 1995) which seems a more appropriate adaptation to eutrophication, on the other hand in conformity with the correlation between eye-size and width of the transmission spectrum among closely related haplochromines (Bouton, et al., 2002). Measurements on the moluscivores H. xenognatus and Platytaeniodus degeni revealed no significant changes in eye-size nor in head-length and SL. This was also the case with the cyprinid R. argentea.